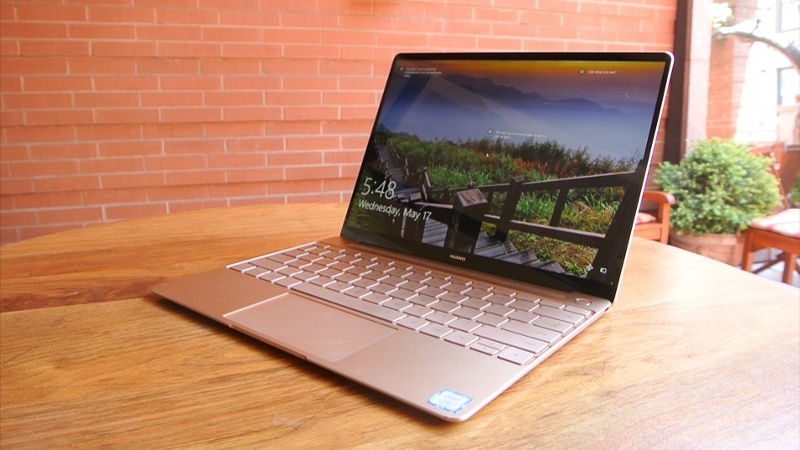 Huawei has not only put up a sequel to its convertible MateBook, but it has debuted two new MateBook products in a new vertical for the company: laptops. The star model — and the one that has its specifications listed above — is one that arguably has the MacBook’s number on it (though maybe not the Surface Laptop‘s): the MateBook X. The Chinese manufacturer lays claim to the first fanless design for a 13-inch laptop with Microencapsulated Phase Change Material, a favorite element in working aerospace, helping to cool the innards. While not the most resolute or brightest unit for its class, the 3:2 display takes up 88 percent of its surface and with a minimal 4.4mm bezel around the screen, it’s definitely one hell of a looker. Below the Gorilla Glass protecting the display sits a decently-powered Dolby Atmos speaker. Borrowing from its smartphones, Huawei has taken on a hybrid power button/fingerprint sensor for Windows Hello authentication. To brass tacks: the two USB-C ports (one on the left and right sides each) will support data transfer, but only the left handles power. There’s also a 3.5mm headphone jack. Some markets will receive a USB-A to USB-C adapter and/or a MateDock — which allows for USB-A, USB-C, HDMI and VGA connections — in the box. Bluetooth 4.1 and Wi-Fi ac with 2×2 MIMO are on-board. The battery is said to last for about 10 hours with continuous full HD video playback. 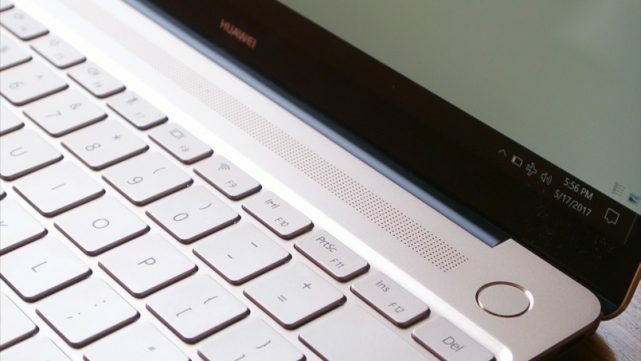 We didn’t get a chance to handle the MateBook D, but if you’re what Huawei calls a “casual gamer,” you’ll be sure to enjoy an affordable 15.6-inch machine. Fittingly, details are a little more mushy at this point. 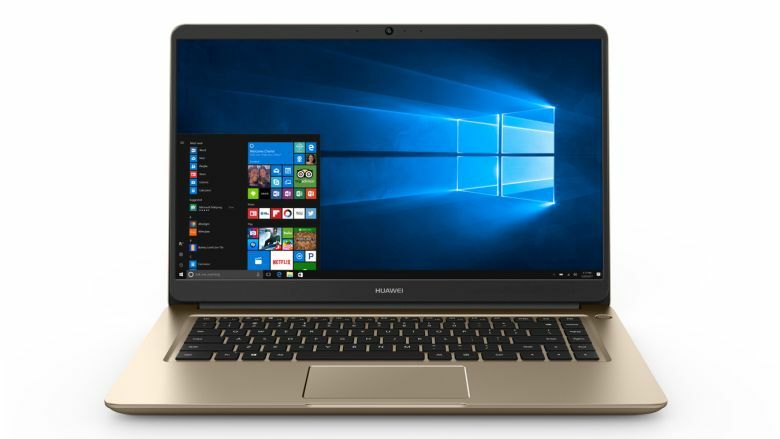 The MateBook D features Kaby Lake Intel Core i5 and i7 processors with the lower-end SKU grabbing the bog standard Intel HD Graphics 620 and the higher-specced ones pushing an NVIDIA GeForce 940MX (with 2GB GDDR5 dedicated to video) — Huawei doesn’t expect you to rig VR to this machine, but it’ll drive the full HD display well enough (~142 ppi). Contrast ratio’s down to 800:1, the color gamut’s constrained to 45 percent of the NTSC range and brightness maxes out at 250 ni ts. One good concession is the viewing angles with maximum potential of 178 degrees. For connections, you’ll find three full USB ports, two at USB 3.0 spec and one with USB 2.0. There’s HDMI and a 3.5mm headphone jack (Dolby Atmos is also here and on the speakers). The power source goes through DC. Speaking of, a 43.3Wh battery (3,800mAh), good for 8.5 hours of 1080p video viewing. The unit charges up with a block that can push nearly 60W. Bluetooth 4.1 and Wi-Fi ac with 2×2 MIMO remain. The MateBook D, at 16.9mm thick and 1.9 kilograms heavy, will come in gray, gold and blue finishes. More availability details for both of these machines will roll out through the summer. Right now, we know the MateBook D will start at €799 in Europe, while the X is slated to set you back at least an extra €500 soon enough. If you’re wondering where the sequel to the original, convertible MateBook is, it’s here for your viewing.